WASHINGTON, July 25 (Yonhap) — Former Gov. Mitt Romney, the presumptive presidential candidate of the Republican Party, believes China holds the key to resolving the North Korea problem, a close aide to Romney said Wednesday. “North Korea is a tremendously difficult problem,” Rich Williamson, senior adviser for foreign and defense policy for Romney, said at a forum in Washington. He said the Romney camp recognizes that China is “the leverage point” to try to change North Korea, armed with nuclear weapons and various missiles. “As you know, North Korea is sustained by Beijing’s food support,” he said, citing Washington’s years of efforts to put more pressure on North Korea through China. He pointed out Romney has not outlined the details of his strategy on Pyongyang yet, but hinted that he supports the six-party talks on the communist nation’s nuclear program. “On a bipartisan basis there has been support for the six-party talks,” he said. Williamson, who served as U.S. special envoy to Sudan during the George W. Bush administration, was debating with Michele Flournoy, former under secretary of defense for policy. Flournoy represented the Obama government in the session hosted by the Brookings Institution on the foreign policy agendas of the two sides. WASHINGTON, July 24 (Yonhap) — The Obama administration on Tuesday downplayed allegations that a United Nations agency illegally provided technology to North Korea and Iran. But the U.S. Congress is still pressing the agency to come clean on its role. The World Intellectual Property Organization (WIPO), based in Geneva, is accused of having run a technology-supply project with the two nations, both under U.N. sanctions. According to media reports, the 185-member WIPO, which promotes the use and development of intellectual property, has provided North Korea with desktop computers, servers, printers and firewalls. It has also allegedly shipped information-technology equipment to Iran. “Our own preliminary assessment — but we are still seeking more information from WIPO — is that there doesn’t appear to have been a violation of U.N. sanctions,” State Department spokeswoman Victoria Nuland said at a press briefing. She added the U.S. is still seeking more information from WIPO to conclude its work on the allegations, and the U.N. Security Council will make its own assessment. “This has now been referred to the sanctions committee for them to make their own determinations, so we will await the views of the respective U.N. sanctions committees,” she said. The U.S. administration’s approach is contrary to an aggressive congressional campaign against WIPO. The House Foreign Affairs Committee strongly criticized the organization for refusing to cooperate in its probe into the case. “Director-General (Francis) Gurry (of WIPO) is obstructing this Committee’s investigation ot WIPO’s transfer of U.S.-origin technology to rogue regimes under international sanctions — a transfer that occurred on his watch,” Rep. Illeana Ros-Lehtinen (R-FL), committee chairwoman, and Rep. Howard Berman (D-CA), its ranking member, said in a joint statement Tuesday. They claimed Gurry is obstructing a congressional investigation into the matter and urged WIPO to allow some of its members in charge of projects with North Korea and Iran to attend the committee’s hearing. Two senior U.S. figures apparently flew to Pyongyang aboard a U.S. Air Force plane in a secret mission six days before North Korea’s failed rocket launch on April 13. Experts speculate that the plane carried Joseph Di Trani, a nuclear negotiator in the George W. Bush administration, and Sydney Seiler, a National Security Council advisor to U.S. President Barack Obama. The secret visit appears to have been a last-ditch effort by Washington to stop North Korea from pressing ahead with the rocket launch. 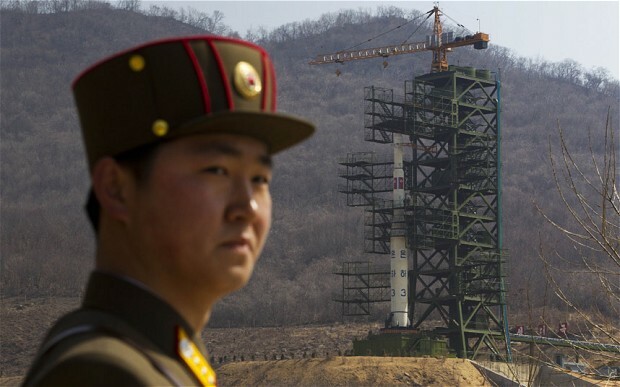 North Korea detains university students over a failed rocket launch. 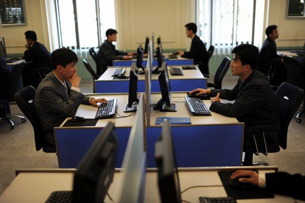 North Korean students work on their computers at Kim Il Sung University in Pyongyang, April 11, 2012. Authorities in North Korea are hunting down college students suspected of “spreading rumors” about a recent failed rocket launch amid warnings the reclusive state may stage a nuclear test. North Korea defied international warnings and fired a long-range rocket on April 13 saying that it would carry a satellite into space, but the rocket crashed into the sea just minutes after takeoff, drawing condemnation from the U.S. and its allies who called the act a “provocative” move. New leader Kim Jong Un had shrugged off international concerns and pushed ahead with the launch in conjunction with the 100th birthday of his grandfather Kim Il Sung, the deceased founder of the state. Now, according to students, security personnel at some universities in North Korea are being instructed to take those who talk about the rocket failure into custody. President Obama and Japanese Prime Minister Yoshihiko Noda On Monday decried aggressive acts from North Korea, including its recent failed rocket launch. Obama said Pyongyang is operating from a position of weakness, not strength, and Noda said the launch undermined diplomacy to contain North Korea’s nuclear ambitions. Obama said the U.S. and Japan, along with other countries in the region are unified in insisting that North Korea abide by its international responsibilities. “The old pattern of provocation that then gets attention and somehow insists on the world purchasing good behavior from them, that pattern is broken,” Obama said in a joint news conference with Noda at the White House. Noda said that given North Korea’s past practice, there appears to be a good chance that it would undertake yet another nuclear test. The Japanese prime minister said China remains an important player in trying to restrain North Korea’s nuclear program. Noda was in Washington looking to reaffirm Japan’s strong alliance with the U.S. and to boost his leadership credentials as his popularity flags at home. Noda, who came to power in September and is Japan’s sixth prime minister in six years, faces huge challenges in reviving a long-slumbering economy and helping his nation recover from the worst nuclear crisis since Chernobyl. Satellite images of North Korea’s nuclear test site shows “lots of activity” in preparation for another underground bomb test, analysts who have studied the aerial surveillance of the prohibited weapons site said Friday. The 38 North website of the U.S.-Korea Institute of the Johns Hopkins School of Advanced International Studies posted three satellite photos showing the progression of work at the blast site over the last seven weeks. North Korea on Thursday denied that dire threats of “special action” issued Monday would mean merely a repeat of the deadly shelling of Yeonpyeong Island in 2010. A high-ranking official in China’s Foreign Ministry has issued a rare public warning to North Korea against another nuclear test, saying it would violate China’s national interest. The comments were made by Chinese Vice Foreign Minister Cui Tiankai to reporters at a press conference in Beijing on Wednesday. This is the first time for China to comment publicly on the North’s nuclear development since the possibility of Pyongyang conducting a third nuclear test was raised. But Cui resisted U.S. demands that China step up pressure on North Korea. “Maintaining peace on the Korean Peninsula and in Northeast Asia is the joint responsibility of all of the concerned countries, not just China alone,” he said. 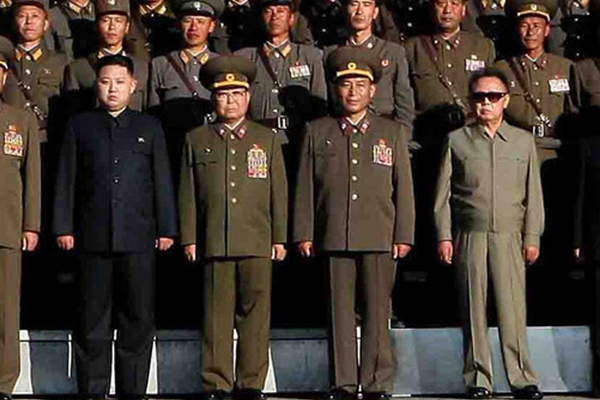 North Korea’s army marked its 80th anniversary Wednesday with a vow to retaliate against what its chief of staff terms the traitors in the South. 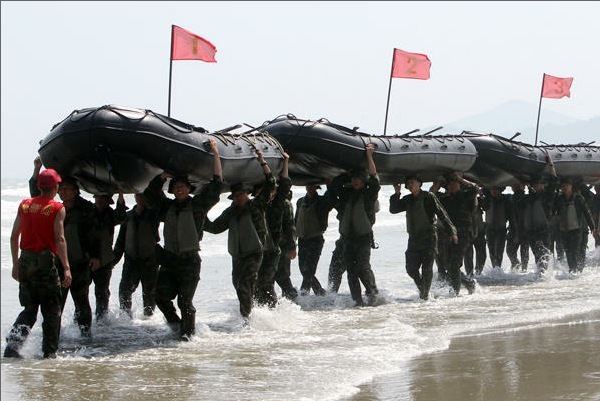 The remarks are the latest in a series of harsh threats directed at Seoul in recent weeks. North Korea is boasting of “powerful, modern weapons” that can defeat in a single blow the United States, which it accuses of plotting a war against it. Chief of general staff, Ri Yong-ho, gave no further details about the weaponry in his speech to mark the North Korean army’s 80th anniversary. His address, from Pyongyang’s House of Culture, was broadcast later in the day on North Korean television. TOKYO — Analysts who have studied photos of a half-dozen ominous new North Korean missiles showcased recently at a lavish military parade say they were fakes, and not very convincing ones, casting further doubt on the country’s claims of military prowess. Since its recent rocket launch failure, Pyongyang’s top military leaders have made several boastful statements about its weapons capabilities. 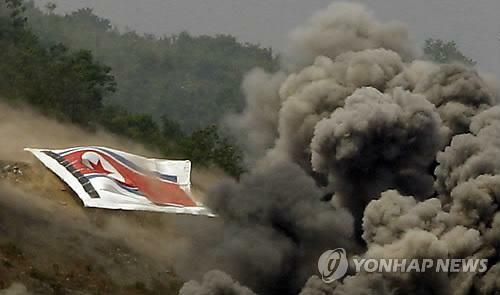 On Wednesday, Vice Marshal Ri Yong Ho claimed his country is capable of defeating the United States “at a single blow.” And on Monday, North Korea promised “special actions” that would reduce Seoul’s government to ashes within minutes. But the weapons displayed April 15 appear to be a mishmash of liquid-fuel and solid-fuel components that could never fly together. Undulating casings on the missiles suggest the metal is too thin to withstand flight. Each missile was slightly different from the others, even though all were supposedly the same make. They don’t even fit the launchers they were carried on. South Korea and China are warning North Korea of consequences if it goes ahead with a third nuclear test. There is increasing speculation North Korea will attempt to conduct another nuclear test, perhaps within the next one or two weeks. South Korean foreign ministry spokesman Cho Byung-je warns any such action will violate international sanctions and further isolate the impoverished country. WASHINGTON, April 24 (Yonhap) — Amid growing worries that North Korea may soon carry out a nuclear test or launch attacks on South Korea, the U.S. urged Pyongyang Tuesday to use its energy and resources instead to improve the livelihood of its people. “We strongly suggest that the North Koreans refrain from engaging in any other — any more hostile or provocative actions,” White House Press Secretary Jay Carney told reporters. He reiterated Washington’s concern for the North’s people in need. The North Korean leadership does “nothing to help the North Korean people, many of whom are starving because of the predilection of the North Korean regime to spend the money it has on weapons systems rather than food and economic development,” added Carney. Media reports based on unidentified intelligence sources suggest that the North may have almost completed preparations for another underground nuclear experiment. It has also threatened to carry out “special military actions” against the South. The DPRK is the acronym for the communist nation’s formal name, the Democratic People’s Republic of Korea. She emphasized that Washington has lost trust in Pyongyang’s commitment to dialogue, especially since its rocket launch in April. Chief of general staff, Ri Yong Ho, gave no further details about the weaponry in his speech to mark the North Korean army’s 80th anniversary. His address, from Pyongyang’s House of Culture, was broadcast later in the day on North Korean television. Vice Marshal Ri says the blood of North Korea’s military and civilians is boiling in anger with a desire for revenge against South Korea’s president, Lee Myung-bak. He reiterates a threat of “sacred war,” transmitted earlier in the week, to crush the bases of provocation in the South.